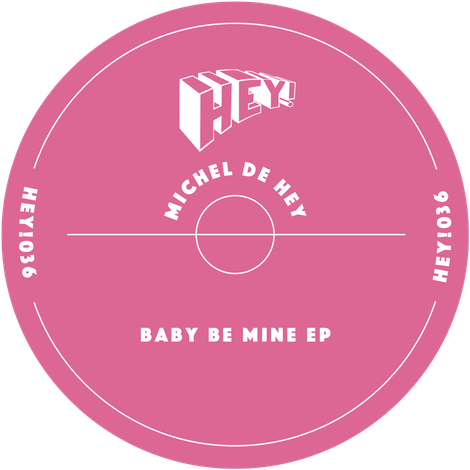 After the reactions to his recent releases on Pokerflat and Relief Records, label boss Michel de Hey returns to his own HEY! Records imprint with two tracks he’s played intensively over the summer. After 30 years in the game releasing on the likes of King Street NYC and Ovum Recordings, he is a possible established figure in the underground scene. When not touring he is laying down his productions and these ones start with opener ‘Baby Work Mine’, which fits in with the Pokerflat release he did. It’s a chunky house tune with playful bass and chord vamps. On the flip, ‘HEYHO’ has been around for two years and has been a big last tune in Michel’s sets, so is a real anthem for him already. It is slightly different from his usual outings with sing-along African chords and piano stabs married to a loose house groove.